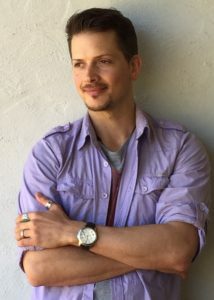 Andrew Tischler to join Kimberley Ultimate Cruise! This year’s Kimberley Ultimate Cruise will feature landscape artist Andrew Tischler. Since that first trip we have proudly featured Andrew’s art on-board the TRUE NORTH and his reputation further afield has grown significantly. His exhibitions have routinely sold-out and Andrew now works almost exclusively under commission. And now a little bit about Andrew…..
Andrew has been painting for as long as he can remember. His father, Tom Tischler who raised him to follow in his footsteps, is a renowned wildlife sculptor. Born in Texas, Tischler moved to New Zealand with his family at the age of 6. The change of scenery from lush green views and mountainous vistas gave way to endless beaches and epic landscapes upon arriving in Western Australia at the age of 10. This fueled his young imagination. Tischler took up painting and drawing from his earliest school years, and has dedicated his life to mastering his craft. Upon completing his studies at Applecross Senior High, he enrolled in a Fine Arts degree at Curtin University. Since completing his degree, Tischler has thrown himself into the life of a full time artist. His paintings reached meteoric success following exhibitions in Perth and in the South West of WA. Tischler’s work captures the raw and rugged beauty of Australia’s Landscape. In 2010, he saw the Kimberley for the very first time aboard the True North. 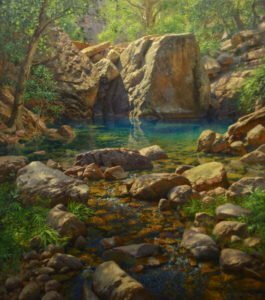 Little could have prepared this West Australian Artist for the boundless beauty of the pristine wilderness that awaited him in the Kimberley. He has been buzzing with inspiration, completing one epic Kimberley Painting after another. His collectors, both in Australia and internationally, have responded to the Kimberley paintings with excitement. His 10-year Anniversary show, featuring many Kimberley scenes from his Kimberley Wilderness Experience, sold out on opening night.